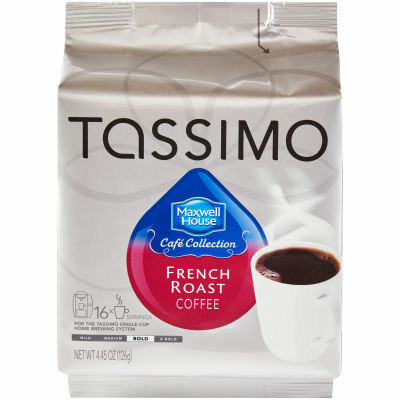 Maxwell house cafe collection french roast is a full-bodied coffee made from 100% arabica beans. This dark roast delivers a rich, full flavored coffee. Savor cup after rich cup of this hearty blend. The art of the perfect cup. Discover tassimo, the ultimate in great taste and smart technology. Simply select your cup, insert your choice of t disc and press the button. Each t disc is designed to bring out the optimal flavors. The tassimo machine "reads" each encoded t disc, adjusting the temperature, time and amount of water to guarantee perfect quality each and every time.